There is finally evidence of formalisation of the economy as the GST regime stabilises & has a big positive effect on the business cycle. The business cycle conditions in the economy are usually measured by a number of series. The most important among these in India has been the Gross Domestic Product. 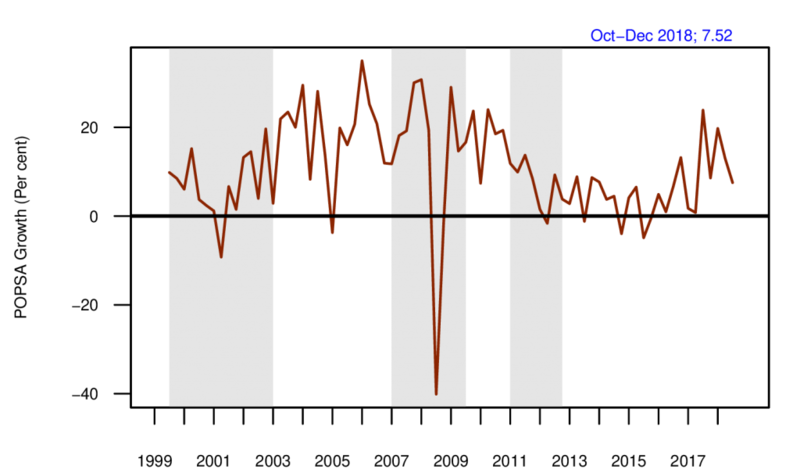 However, GDP data is difficult to use for business cycle measurement as the change in the base year and definitions in the new series were so different from the old ones that analysing trend between different business cycles could not be made possible. There are other measurement issues as well. The data problem was compounded by the fact that the disruption caused by demonetisation and the Goods and Services Tax (GST) to the informal sector meant that the ratio of production between the formal and the informal sector was no longer what it used to be. Quarterly GDP calculations typically assume that this ratio is fixed because data for the informal sector is hard to come by while also being calculated infrequently. This meant that the GDP could no longer be used for measuring business cycle conditions. At the same time, the pick up in the formal sector was also slow as the move to demonetise 86 per cent of India’s high-value notes in November 2016 had created a demand shock because household incomes had fallen. The fact that demonetisation was soon followed by GST, which brought a new form of tax compliance procedures along with multiple and high rates and other administrative issues, meant the informal sector also did not show a pick up. In addition to the data issue and the difficulties in measuring the changing share of the formal and informal sector, there is also the issue of the deeper transformation of the economy. If we expect an economy to be in transition, where production is shifting to the formal sector, it would not be correct to measure the sum of the formal and informal sectors to assess the total. 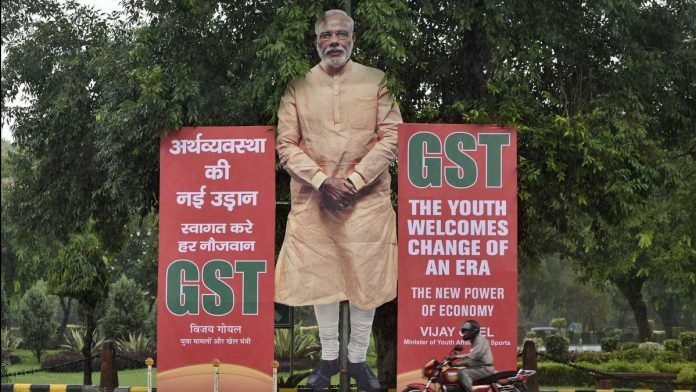 While it would, of course, give the picture of growth at any point of time, it would not tell us about the trends and whether the objective of the GST reform was achieved or not. That can, and should, be measured by examining whether there was a revival in the formal sector. It is only after the transition is over and equilibrium is achieved that total GDP growth may reflect the true state of the economy again. Given the above difficulties, we analyse formal sector data to assess business cycle conditions and the impact of GST. Overall, we expect GST to have a big positive effect as low productive firms get pushed out, the duration in transporting goods come down (with the removal of check-posts), and various innovative but inefficient ways of operating businesses in the attempt to reduce taxes become redundant. One way of examining the performance of the formal sector is to look at the sales figure of the companies. Since oil sales figure depend on global oil prices and since financial firms do not have a comparable measure of the sales, a meaningful indicator is to look at the sales of non-oil, non-finance firms. The Prowess database of Centre for Monitoring Indian Economy (CMIE) contains both listed and unlisted firms. Data on sales in nominal rupee terms is aggregated from quarterly figures, seasonally adjusted (there is seasonality in the quarterly data), and an index is created. We then look at the quarter-on-quarter growth of this index. The graph shows quarter-on-quarter growth of the net sales of listed firms. We see a long period of poor performance after 2011. In recent quarters, there has been a recovery. We see that upto the third quarter of 2017 values in some quarters were negative or below 1 per cent. This is net sales growth measured in nominal values which indicates that in real terms the growth was even lower. In the last 5 quarters growth has been high. We are finally seeing evidence of formalisation of the economy as the GST regime stabilises. The Indian economy is in transition and there may be ups and downs before the business cycle conditions stabilise. A critical factor in that would be whether private corporate investment, which has been slumbering since 2011-12, picks up.